If not, you are NOT search engine optimized. But don't worry, you can let us do the heavy lifting & we will get it there. No contracts. Month to Month. ﻿﻿Why is SEO (Search Engine Optimization) so important for your online search rankings? Google Rankings Can Make or Break Your Business! Google rankings are more important than you might think for your business. The ongoing trend is the Internet and social media are driving businesses. Warm leads are the best leads! SEO is the way to be able focus your business presence on the Internet in online searches. Research is proving that more and more potential customers go straight to the top search results on a search engine page. They do not even take the time to look through the results further down on the page. If your site is not in those top few, it can cost you a lot of prospective new business. 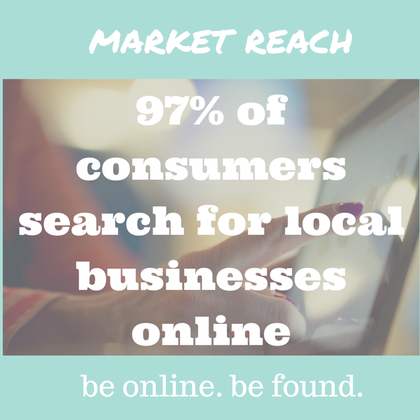 A large number of all searches have local intent. Getting your business onto the top of the list is vital to accessing that customer base and boosting your sales. These potential customers are virtually right at your front door. SEO is the way to be able focus your business presence on the Internet in online searches. Research is proving that more and more potential customers choose companies listed in the top search results on a search engine page. They do not even take the time to look through the results further down on the page. If your site is not in those top few, it can cost you a lot of prospective new business. Getting your business onto that topmost search list is vital to accessing that customer base and boosting your sales. These potential customers are virtually right at your front door. Your local rankings are what can make or break the growth of your business. It is not just about climbing Google rankings, but using your Search Engine Optimization (SEO) to maximize the reach of your business. You can submit a detailed profile to your chosen tool and expand your results so a potential customer can find them no matter what device they are using. You will also want to use exact and accurate keywords to describe your business. It must be effective and descriptive. These words will act as direct lines from your business site to the search engine. Your ranking will depend on two things: how closely your description matches the business profile being searched for, and how easily the searcher can interact with your profile. 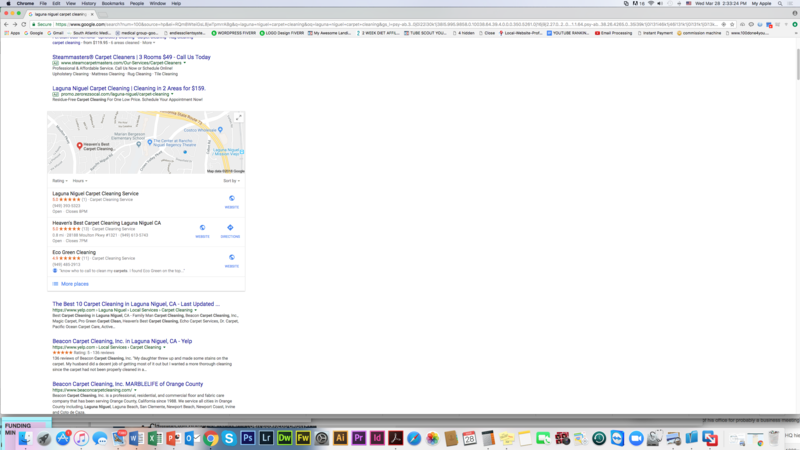 The more people who click on your link in the search engine, the higher your link will be on the results page, resulting in more business traffic. It is vital to use your rankings to maximize your reach and positively expand your business reach. Now that you know a bit about how Google rankings affect your business, it’s time to do something about it! Whether you choose to do it alone or you decide to hire a professional SEO expert, like RAJE Marketing, the benefits are something you can’t deny, so please don’t put it off any longer. Fill Out The Form Below or call 949-484-5929 today!